History: A root vegetable that over the years has become domesticated. Originally, it was found in Europe and southwestern Asia as a wild carrot Daucus carota, which is much smaller and has a woodier taste. 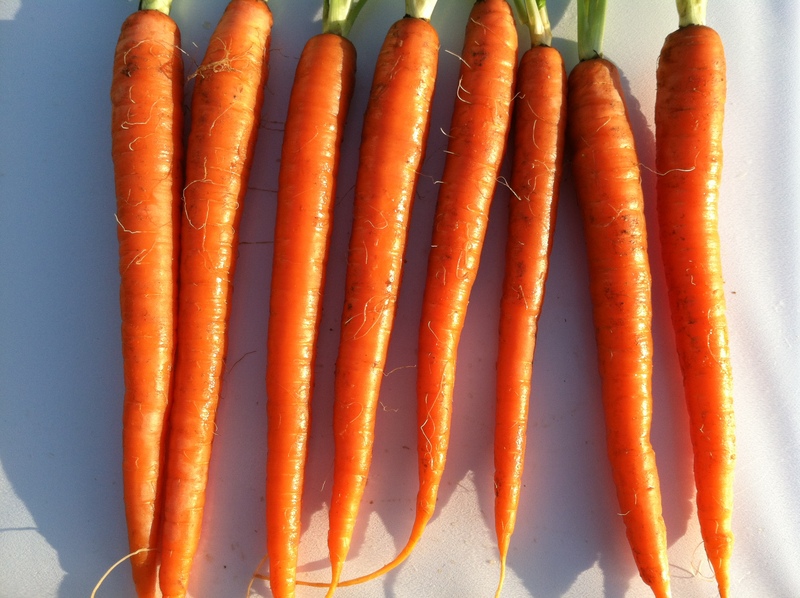 The carrots I am most acquainted with are the “baby carrots” that can be purchased in your local grocer or the fertilizer-fed large, long, and thick ones. Occasionally, I have had the tiny slim carrots frequented in European dishes. Asides from that, carrots to me, is the root I grew up watching in cartoons, being nibbled by Bugs Bunny. From a consumption standpoint, the carrot is appreciated as one of the veggies in a party tray, which we so often neutralize the healthiness of the carrot by dipping it in ranch. Then, the occasional appearance in soups, baked vegetable dishes, or even casseroles, etc. The special of the week caught my eye. 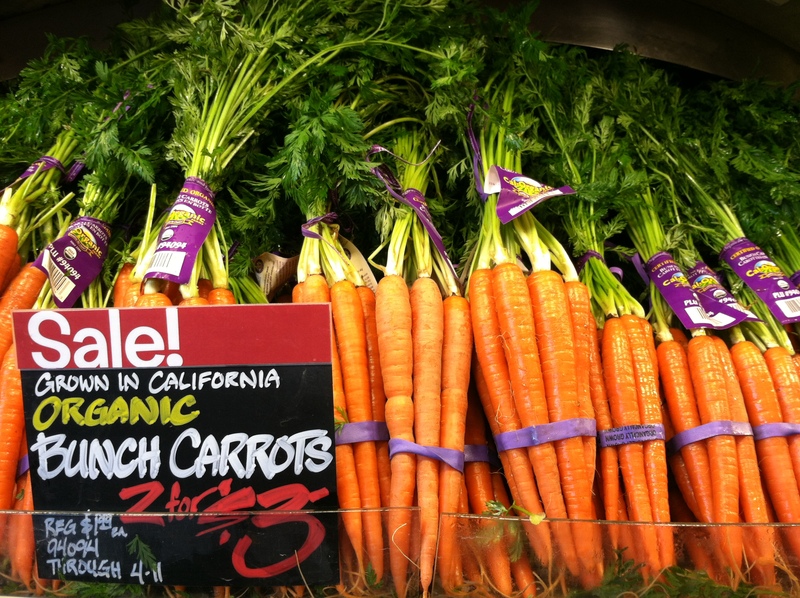 I have never seen organic carrots sold in a bunch. We’re all accustomed to the organic baby carrots. Don’t be fooled, while those are chopped up, the derivative is a grown normal-sized carrot. I asked the produce member what is the absolute best way to cook these carrots. I said, “Since they’re organic, I want to be able to taste the difference.” I had already thought of eating them raw, to capture the full character of this root. He confirmed it by telling me he would eat it raw. I smiled, and inquired what about putting it in soup? He looked at me quizzically and pointed to the lower shelf, where the bigger carrots we’re all acquainted with were shelved. I thanked him and chose a bunch. The key to choosing the carrots, when they’re not bagged, is to find ones that are not bruised. Quite simple. Also, I decided to try the carrot with the outer skin off, and without the outer skin. If you opt for the former, make sure you use a knife or fingernails to get the dirt out of all the dents that make up the root.. As for the latter option, I’d recommend just washing down the carrot once. After you use the vegetable peeler, then you can wash it one last time. 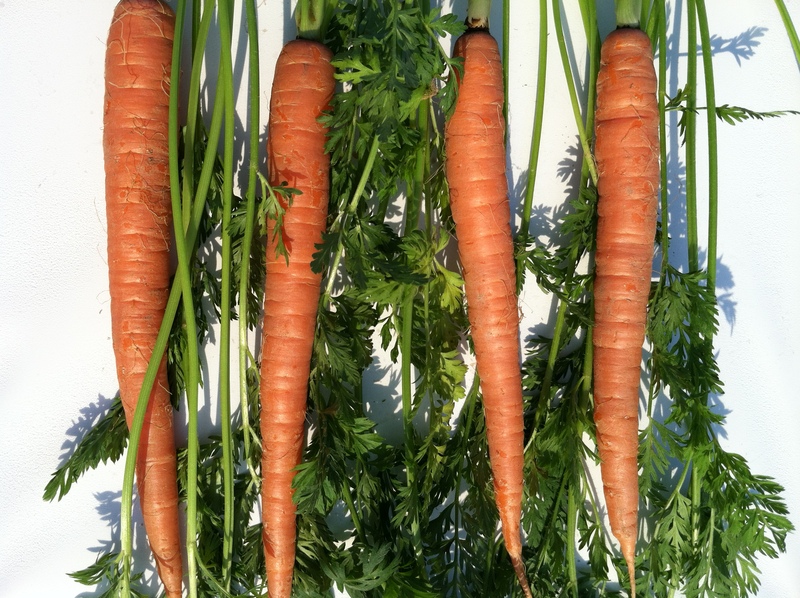 As you can tell, the carrots are smaller all around, circumference, length. The farmers have controlled the growth of this variety by harvesting earlier. Organic carrot without skin. I truly believe that the larger the carrot is, the more aged it is. As a result, if you’ve ever tried to chomp on a normal sized one, you’re faced with quite a challenge. The carrot is hesitant to break. However, this organic carrot was quite a delight and succumbed to my bite pretty easily. Each chew released beta carotene along with sweet carrot juice. Remember, the root stores large amounts of sugar. It was much sweeter than your bag of baby carrots. Organic carrot with skin. This was definitely a delight. 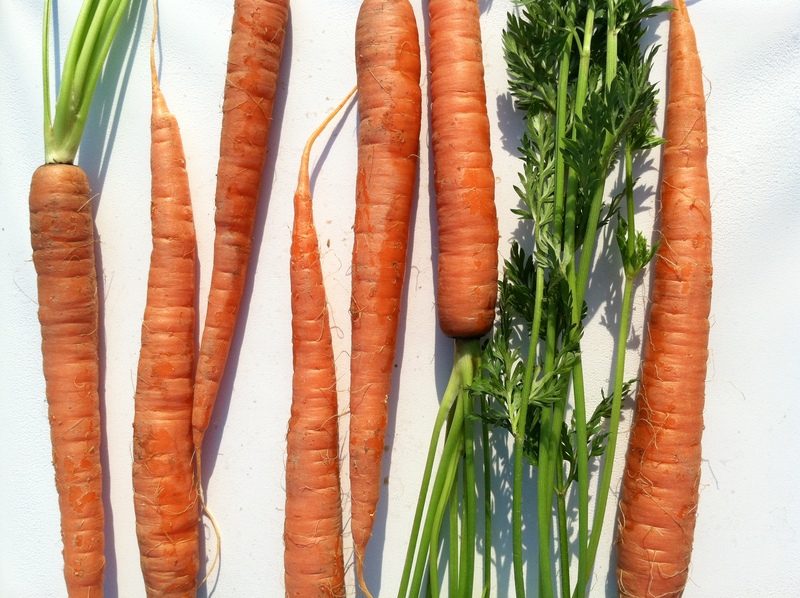 The outer skin of the carrot is thinner than the thick skin typical of normal carrots. As a result, the texture of the skin pairs up well as you chew and try shred it apart. It also contains even more flavor than the carrot itself. Amazing, because eating the carrot with the skin on cannot be done with a normal sized carrot. Well, it can be, but it won’t be as tasty and the thickness of the skin makes it unpleasant. I must add though, that your body absorbs only 3% of beta carotene during digestion. To increase this upwards to 39%, you need to pulp it or cook it with cooking oil (olive oil). However, I woulId definitely eat the carrot with the skin on again, beta carotene or not. How do you eat your carrots? Put your comments below. Thanks for reading! the carrots look beautiful! where are you shopping? Awesome! I love carrots – a good way to cook them are to keep them whole but gently slit them down the middle (just to make a dent. not all the way through). Then mix it with olive oil, salt and pepper and roast them in the oven. Really easy to do. Delicious! Thanks for the suggestion! Will try this next time! we pull carrots out of the garden, rinse them off, and chow. ah! that’s awesome. They’re smaller than normal carrots right, since they’re organic.